Taking time to relax in Tavira. You knew I couldn’t resist it, didn’t you? I feel relaxed just looking at these. 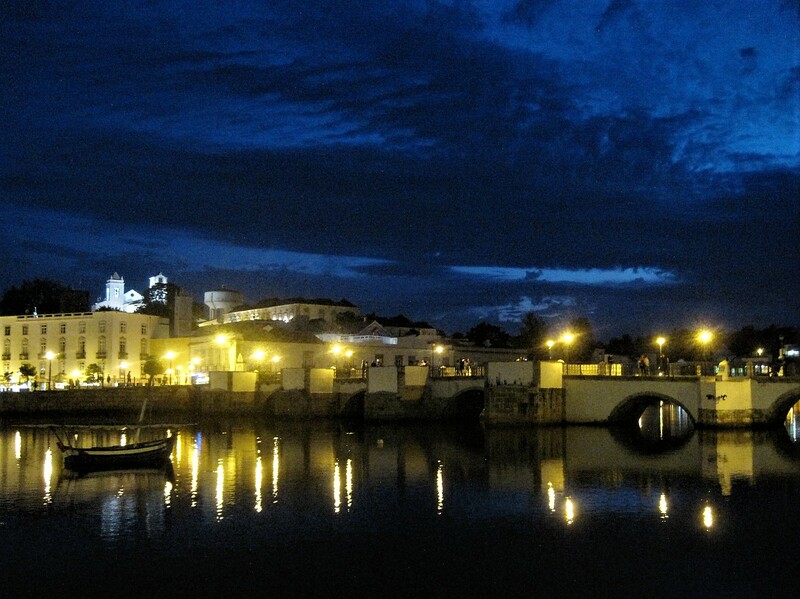 Warm summer evenings in Tavira. Magical moments. I can just squeeze this in before the next Lens Artists Photo Challenge. Thanks, Amy! I wonder what’s coming next? I couldn’t possibly disagree with Debbie this week. Got your Six Words ready? Wishing you a happy Saturday, and rain for those who need it. I could easily imagine just sitting there and enjoying life, day or night. It’s an easy place to be, that’s for sure. 🙂 🙂 Thanks for keeping me company. I quite enjoyed the lifestyle of sitting and drinking until about 10pm when it was time for dinner in the European summer. Back in the Australian winter it’s dark and I’m eating around 6pm. A couple of hours later. Magical moments and magical photos, Jo. Your photos are beautiful and make me want to be there. Although, I have no complaints about the temperature and surroundings I am in with Zesty right now. 🙂 Greetings from the mountains of Colorado. What a treat , this week….! I had to comment on your beautiful night photography, Jo. Such a gracious setting for relaxation. Wow! Thanks, darlin 🙂 🙂 It’s a lovely place on a summer’s evening. It’s a beautiful place at any time. All your photos have been beautiful and I don’t mind revisiting with you, Jo. And it’s been a very nice summer, by all accounts. Thank you very much 🙂 🙂 The place was looking lovely! I think it’s the first time I can remember that people haven’t had long faces about the rain, Eunice. It finally cleared here yesterday evening and we went out for a short stroll, just to be out! It felt wonderful 🙂 🙂 Thanks a lot! This was back in June, Yvette. There was a festival on and the place was magical. Thank you 🙂 🙂 I’m UK based till the Autumn. I could wish to be there too, Sue. It’s poured here most of the weekend, but I’m told I have to be happy for the farmers. 🙂 🙂 And I am! Gorgeous Jo – love that bubble shot!!! The cafe scene reminds me of Monet’s “Cafe Terrace at Night”. Looks like you had a great time. I had a poster of that scene once. 🙂 🙂 It is the most beautiful place for evening strolling. I had a t-shirt from Arles with that scene. It’s one of my favorite. And I made a mistake. It’s Van Gogh, not Monet. Van Gogh had lived in Arles, chopped his ear off and got sent to a sanitarium for a brief bit there. awww, that’s too bad. Yeah, art is a very individual taste. I love Van Gogh and Monet. It looks soooooo serene. I needs me summa dat.